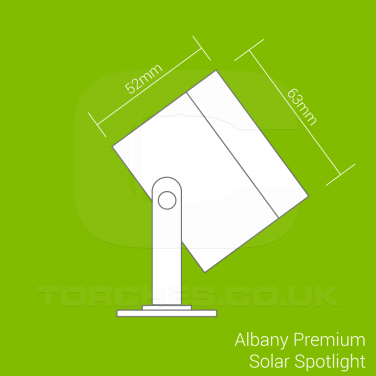 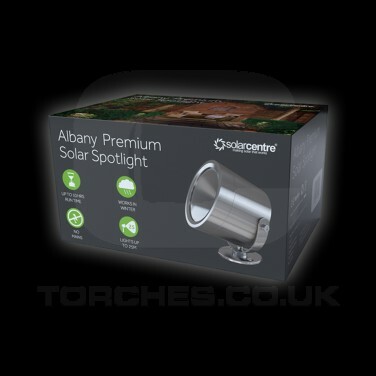 An ultra bright high efficiency solar spotlight, the Albany solar spotlight is lit by a 125 Lumen natural white (5500K) CREE LED for ultra bright garden lighting even during the British winter months! 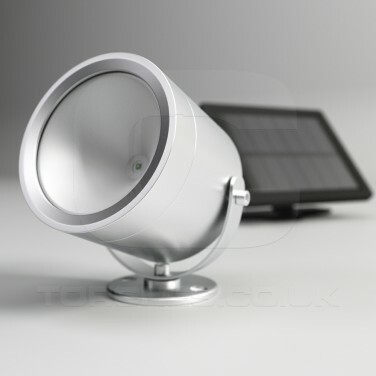 An innovative frosted reflector eliminates hot spots to give a smooth, even light distribution whilst a powerful 2W solar panel stores and converts enough energy for the spotlight to remain lit for up to ten hours a night during spring, summer and autumn months and up to five hours a night during darker winter months. 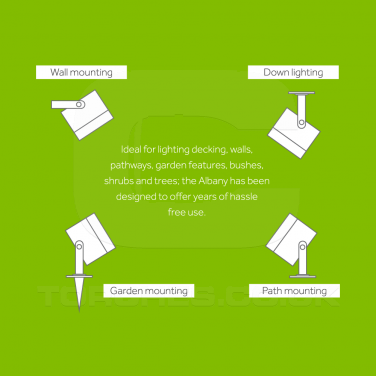 A generous 3.3m of cable is provided from the solar panel to the light giving you flexibility to position your light in even the darkest of corners of your garden whilst the solar panel remains in an optimum position for charging. 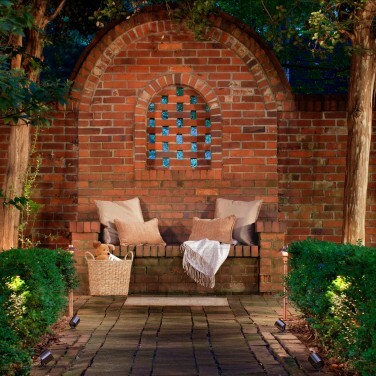 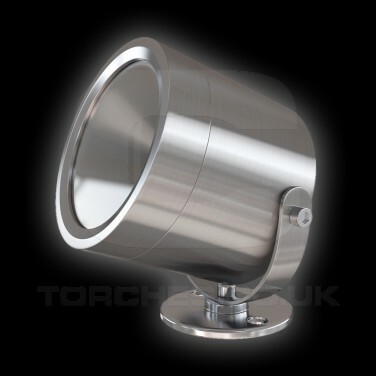 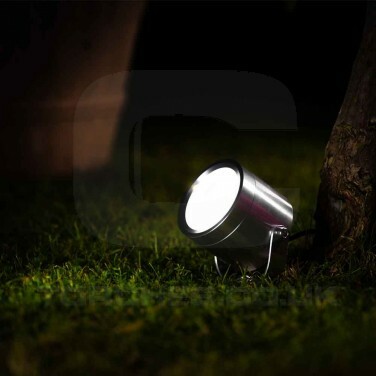 Sleek and stylish, this contemporary high quality solar garden light is made from premium grade aluminium for a modern look, and with no mains wiring required, this premium light is easy to install and will charge throughout the day to automatically switch on at night when it senses darkness.